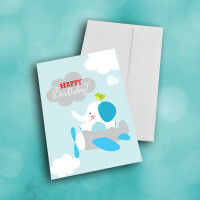 Make someone's heart soar with this sweet birthday greeting card. 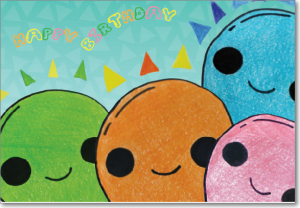 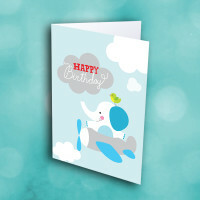 Bring some light-hearted happiness into someone's special day with this cute and simple birthday card. 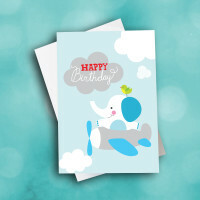 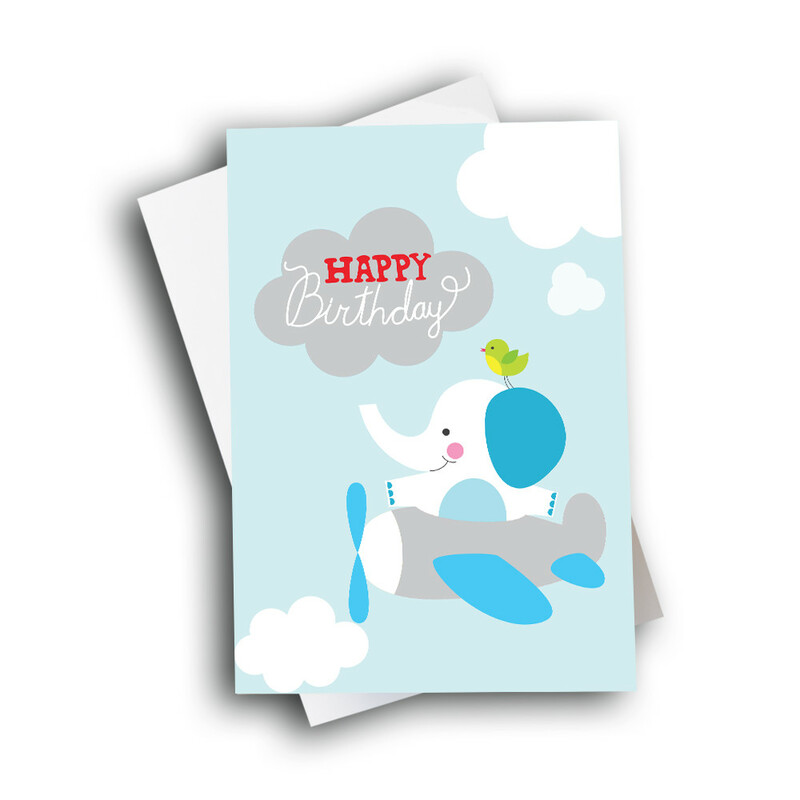 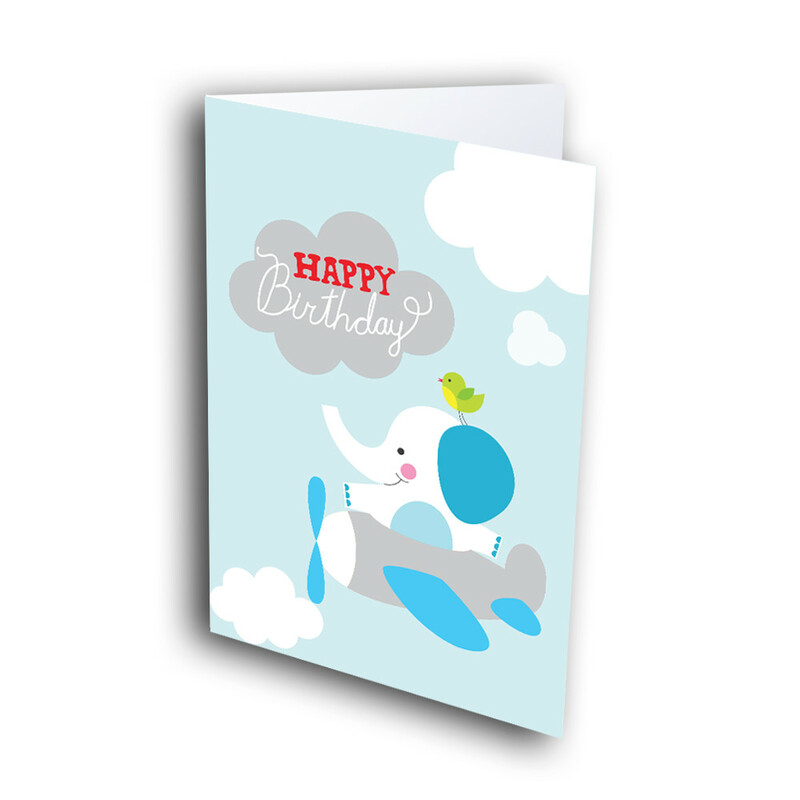 Adorning the front, an adorable elephant and bird pair fly in their little plane through a pale-blue, cloudy sky; inside one of these clouds sits the birthday greeting. 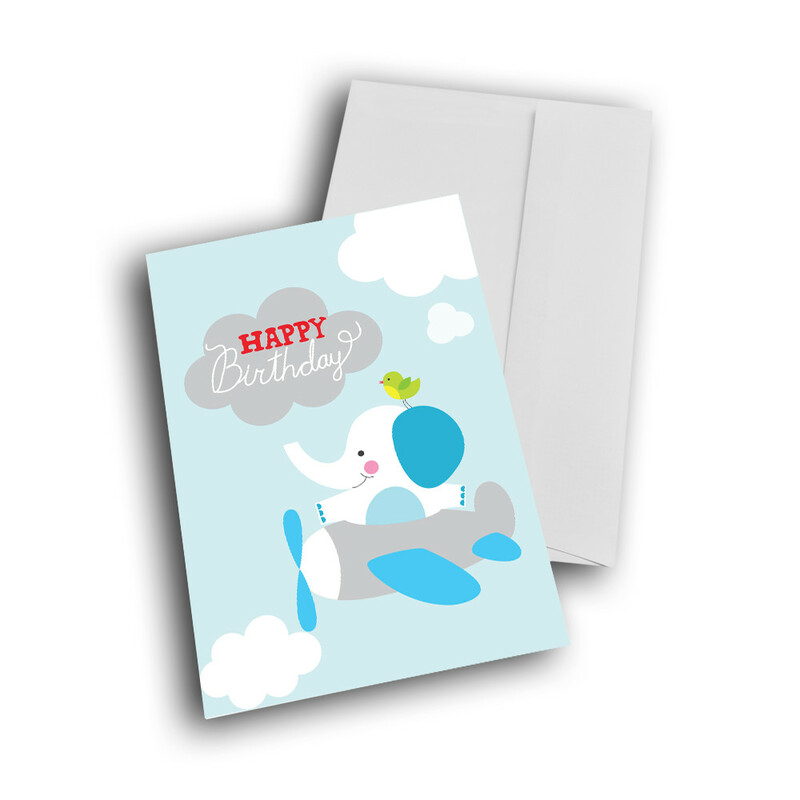 The inside can be personalized with a custom message to make this card truly unique and meaningful.